What if you earn your bread and butter from your writings and then one day you are told if you would not stop writing you will be killed. It had been done with many in past and now the fearful bloggers of present era suffer from this as well. They cannot be brave because they know someone will come from any corner of street and stab them with their knife or dagger, no bravery of words or wisdom will be required then. We have seen few secular bloggers' assassination from the start of this year and now another one is under threat of losing his life. It was reported before that he is living under immense fear and planning to move from Bangladesh. The free speech and freedom of expression is under threat as many have been victim of extremists. Annanya had been living under fear of losing his life and recently it was reported the extremists send him threats to end his life if he continues writing. Speaking from Dhaka, Ananya — who is on a hit list containing the names of 84 atheist bloggers — said: "I am no stranger to death threats and bloodshed. My father, author Humayun Azad, was attacked on the streets. But what shocked me was the nature of threat that I got on Facebook. It addressed my father as 'Nastiker sardar'. It means the leader of atheists. It said being his son, I would meet a gruesome death. My throat would be slashed at Dhaka University's Raju Bhaskarjya! I feel lodging a police complaint is pointless. Eleven years have passed and the cops haven't been able to do anything about my father's assassins." Today, Ananya wears a helmet even while walking the streets of Dhaka and moves around in a car with tinted glasses. Leaving Bangladesh is something he is considering after the threat. "Perhaps I need to rethink now. I've stopped writing my blog. I had begun writing a book that's halfway through. Next week, I am planning to go to India." His father was also assassinated in 2003 for writing Islamist fundamentalism and now it's Annanya's turn to pay the price of being bold and secular. 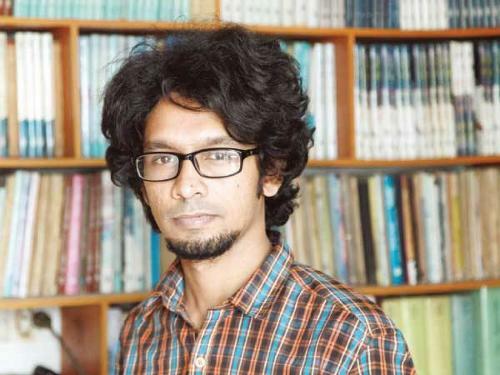 “People have told me to refrain from writing,” said 25-year-old Ananya, who quit his job as a newspaper columnist after Washiqur Rahman became the second blogger on the list to be killed, hacked to death in Dhaka in March. The problem is that extremists do not negotiate or feel the need of debate, this also happened in Pakistan when Sabeen Mehmud was assassinated for being bold and having secular ideology. No patience, less usage of logic and critical thinking is making our generation more aggressive, and such people are easy targets of extremists groups. Under different skins they attack bold people who have different ideology from them by silencing their voices forever.